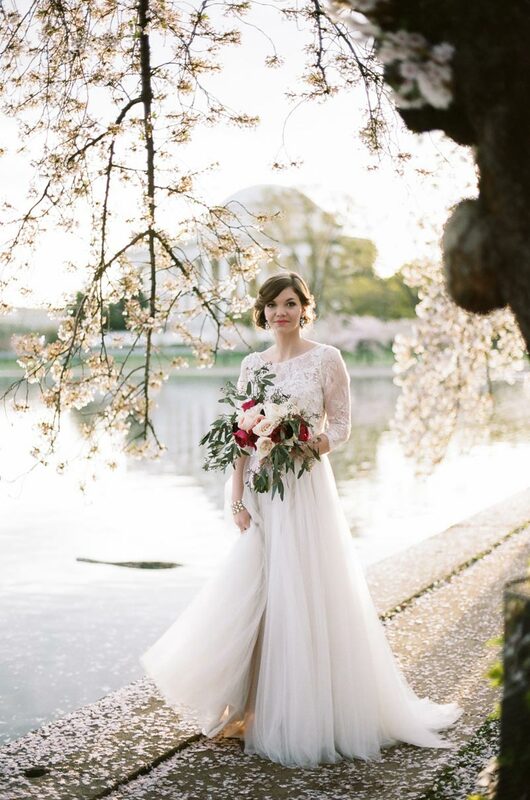 When your best friend's little sister calls and asks if you'll come to her home in Washington, DC and take her engagement pictures, you say yes. 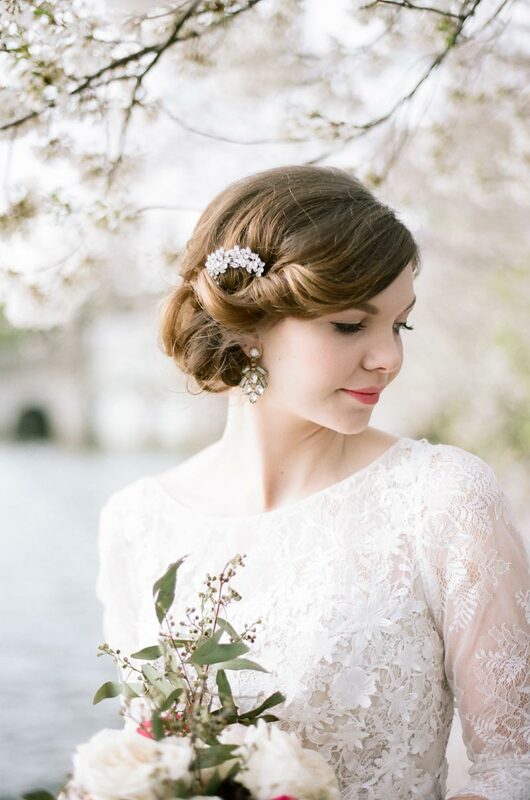 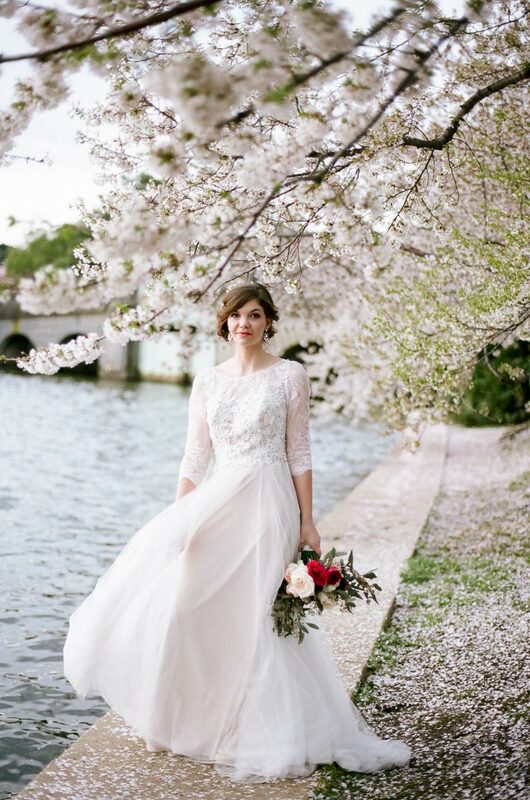 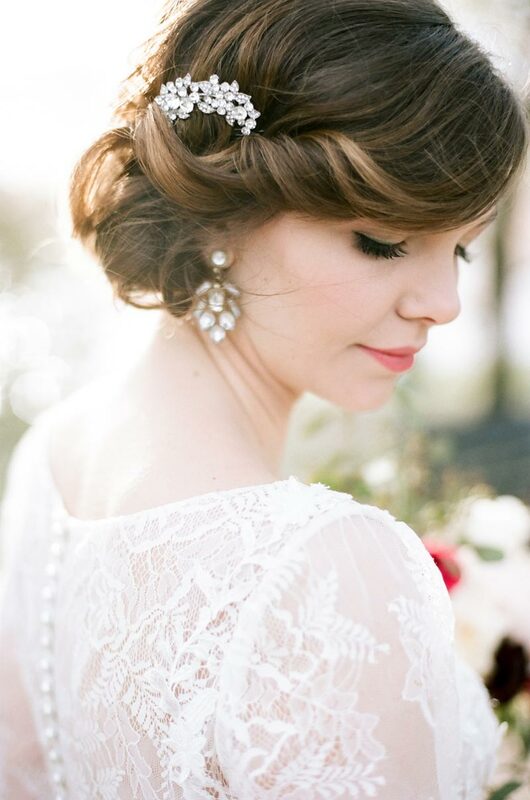 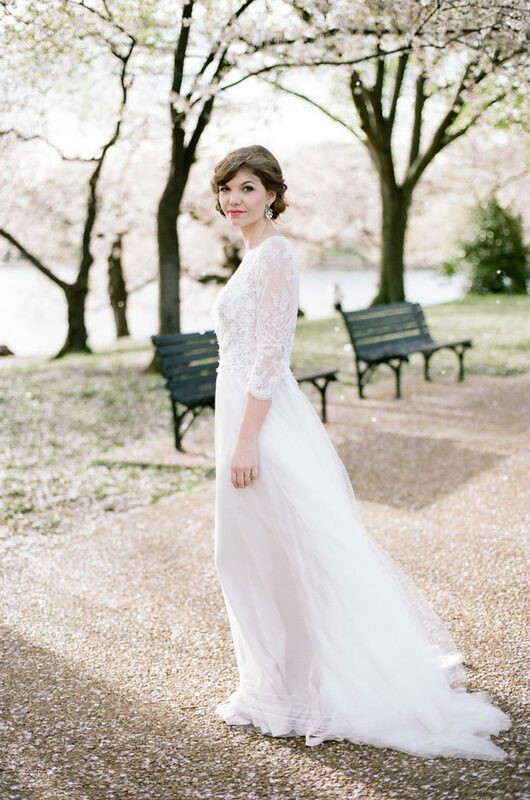 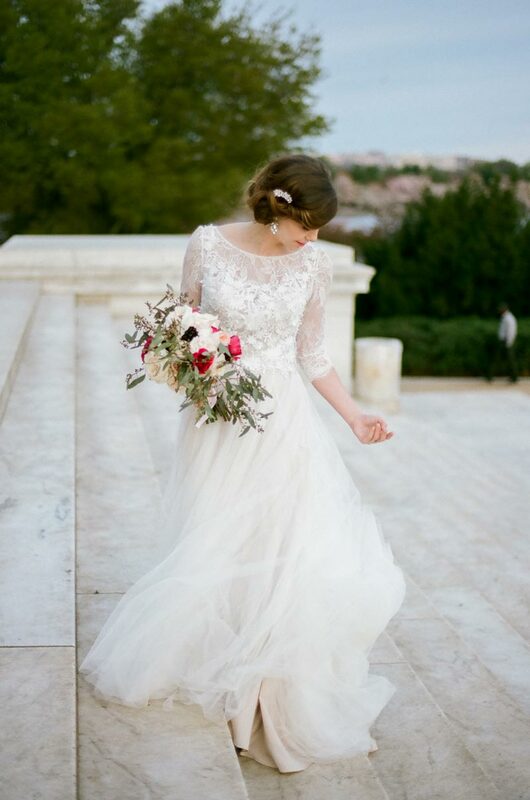 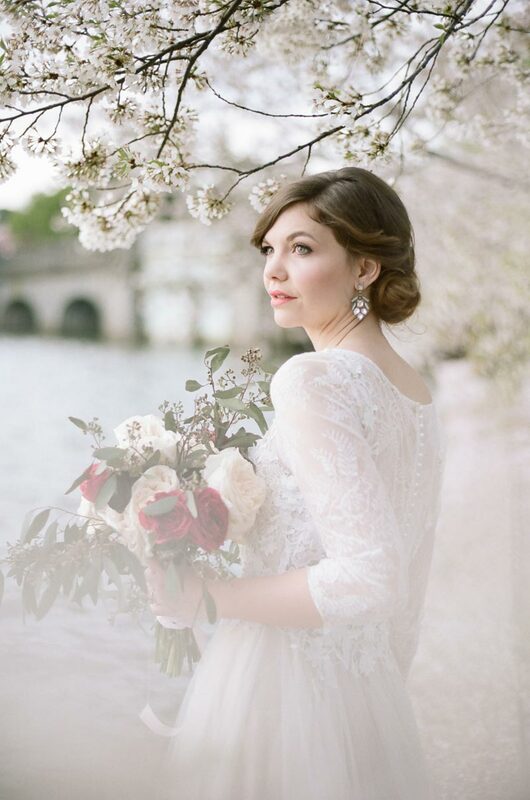 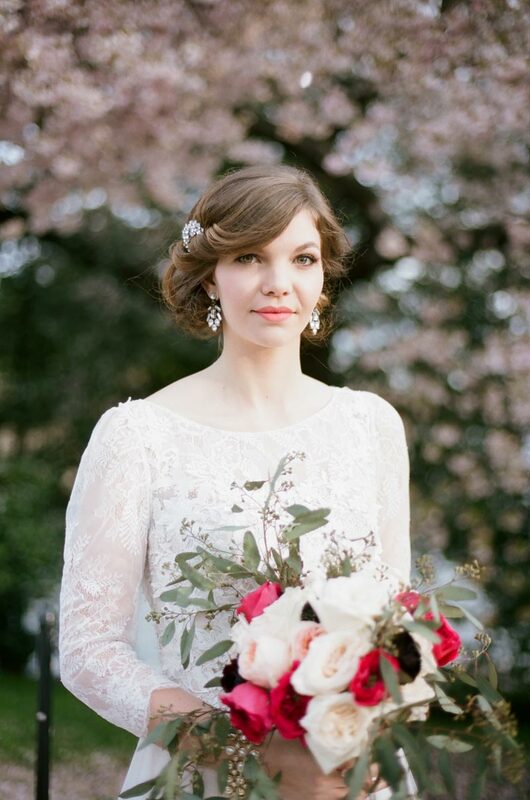 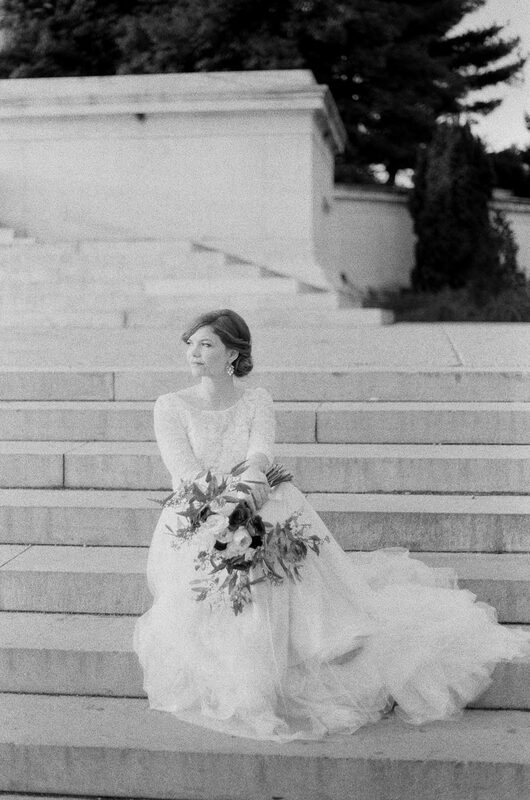 And then, because she's absolutely stunning, you plan a whole styled shoot too. 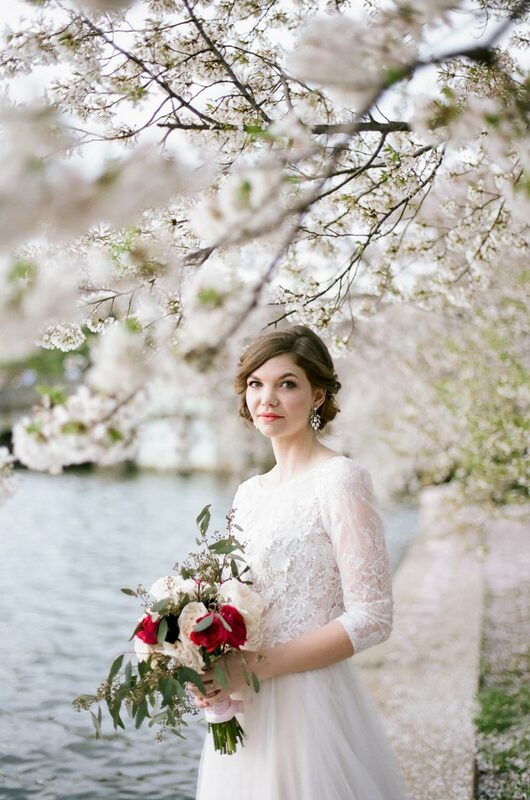 These images are from that very shoot, when I was lucky enough to land in Washington DC just when the famous cherry blossoms were at their peak bloom. 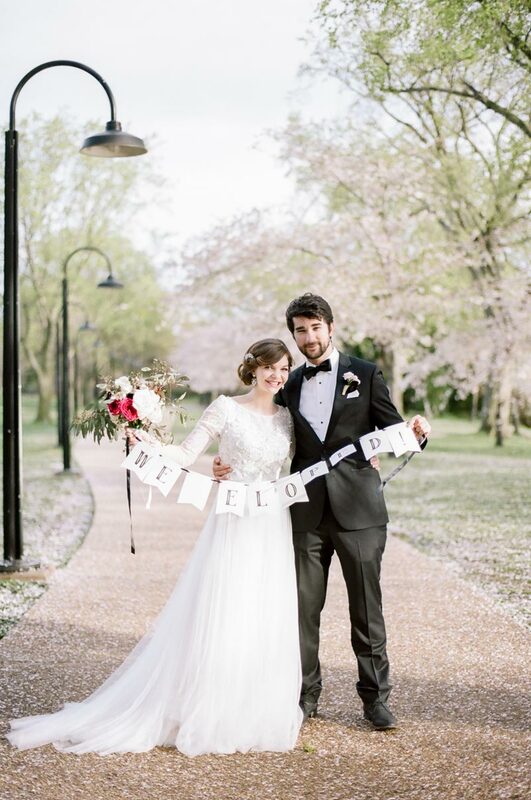 The day I arrived, I shot Taylor & Chris's engagement session, but then the next day, rain foiled our plans to shoot their styled shoot. 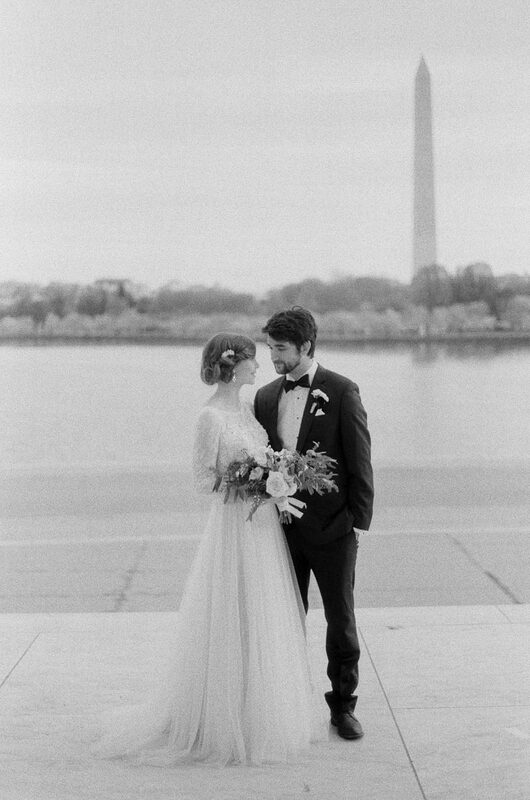 Which is why the next morning, before the sun was even thinking about coming up, we set out for hair and make up by Modern Bridal Studio, and made it to the tidal basin just as the sun was peeping over the horizon, to give us enough time to shoot before I had to catch my plane back home. 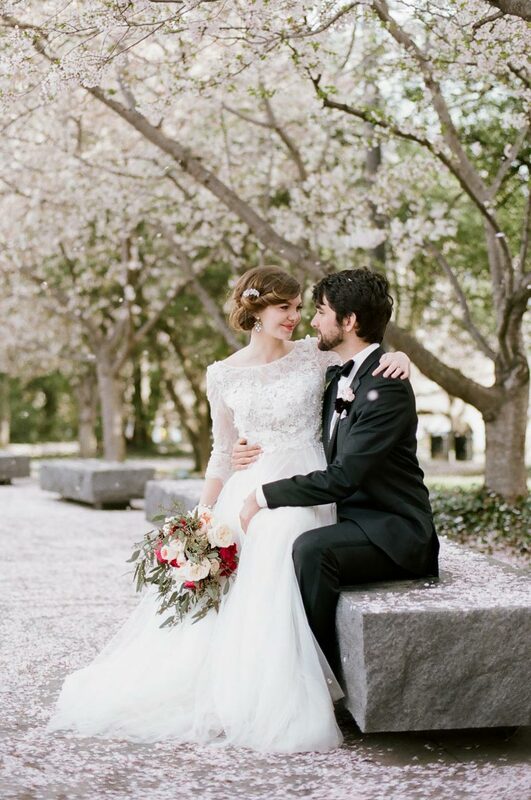 And how wonderful it was! 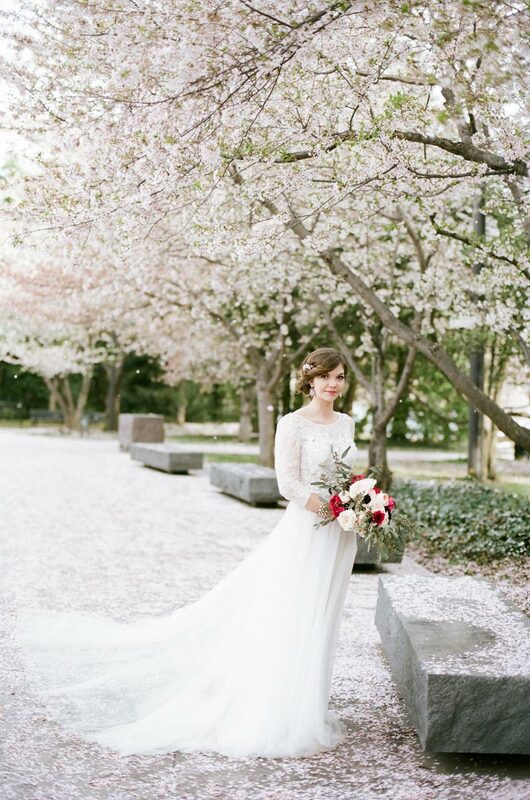 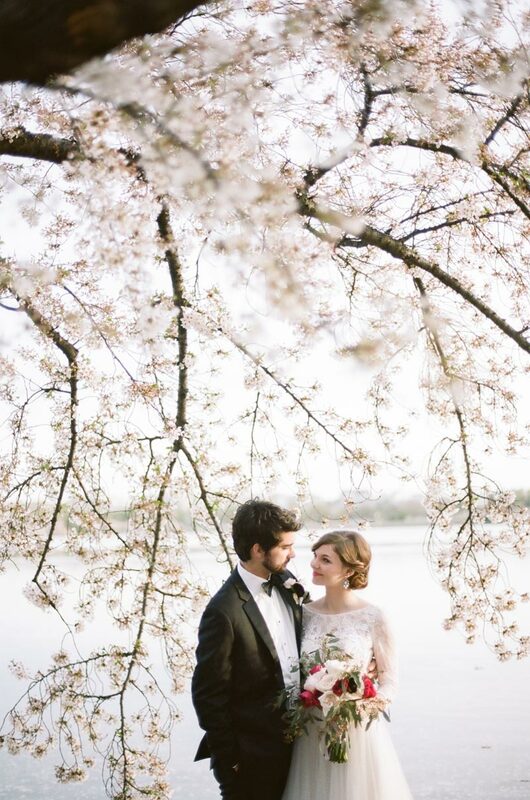 The crowds weren't out that early, the cool breeze made the falling blossoms swirl like confetti, and that incredible BHLDN gown was simply dreamy. 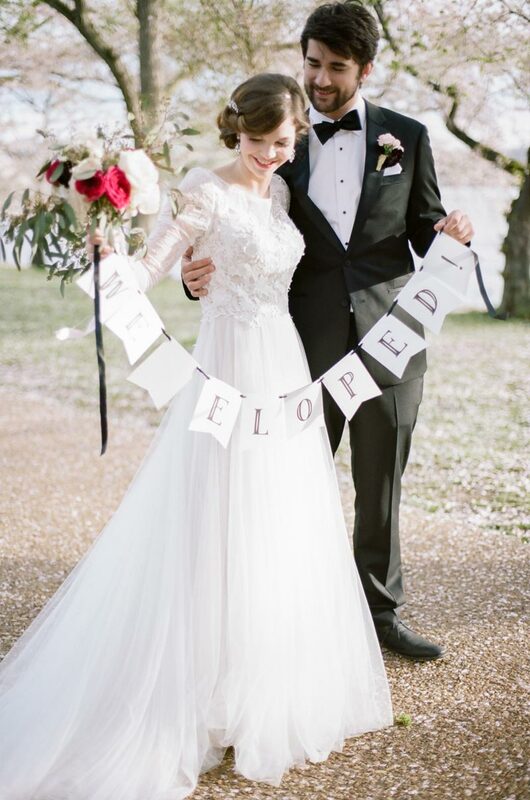 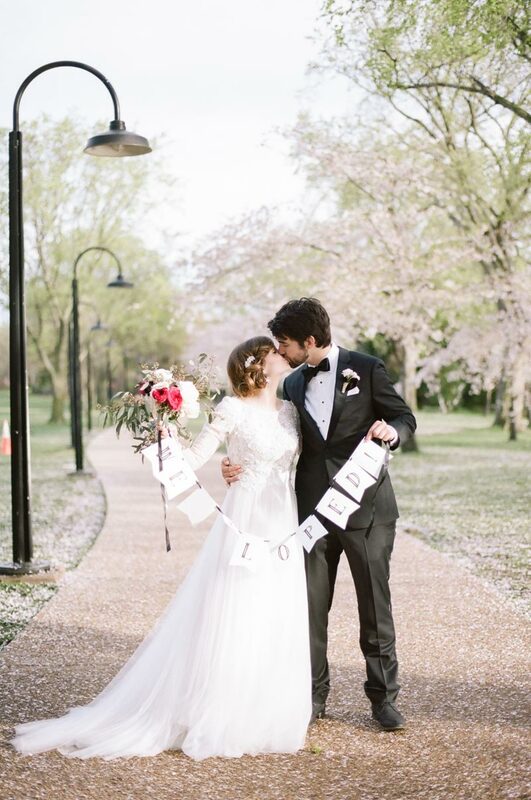 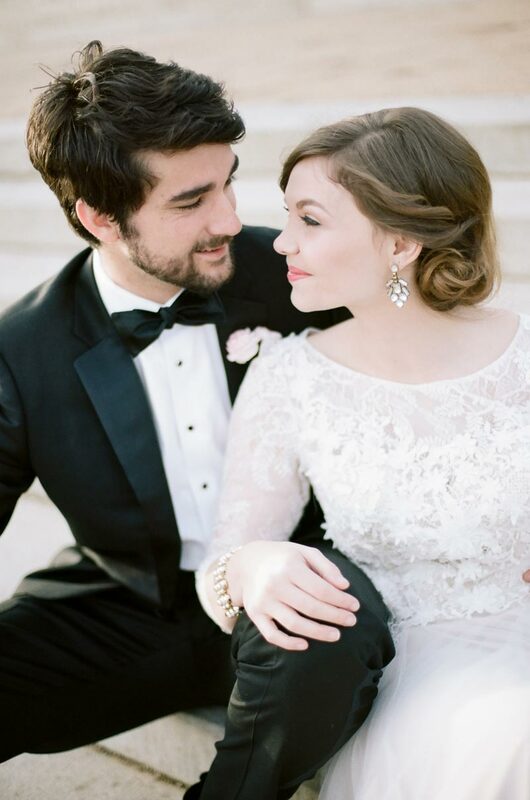 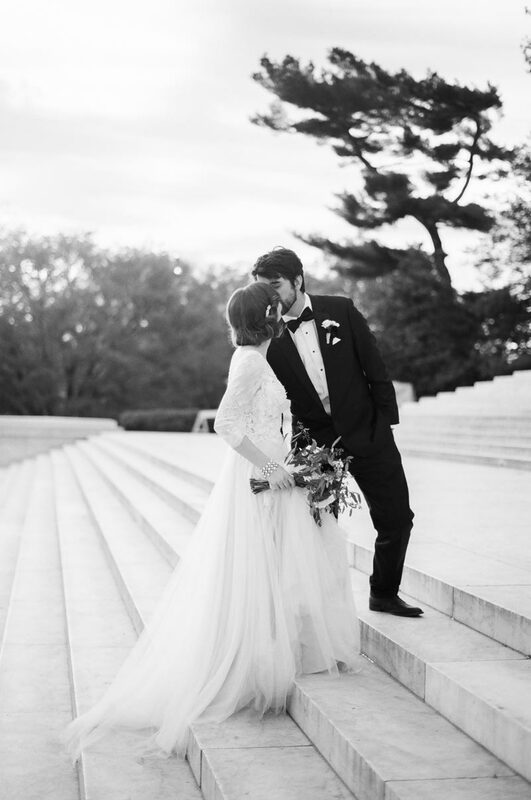 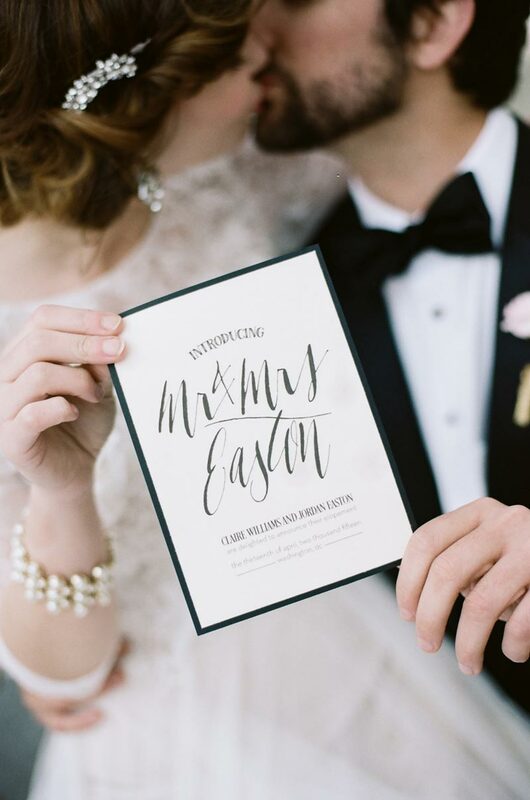 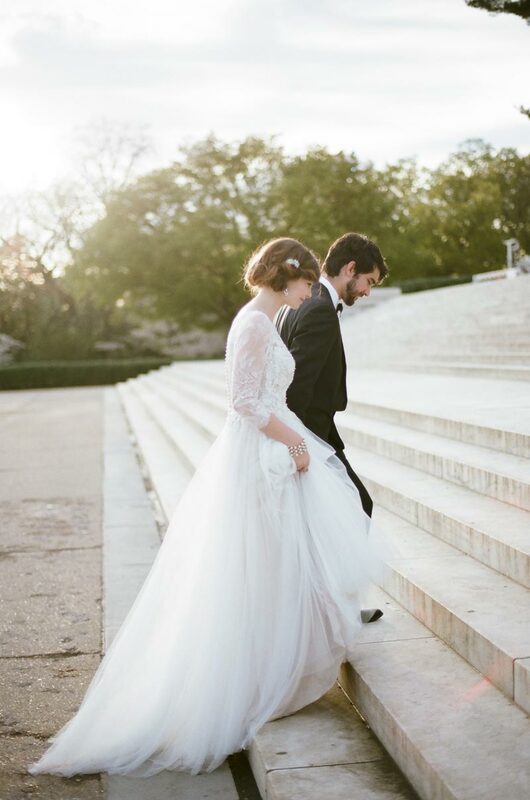 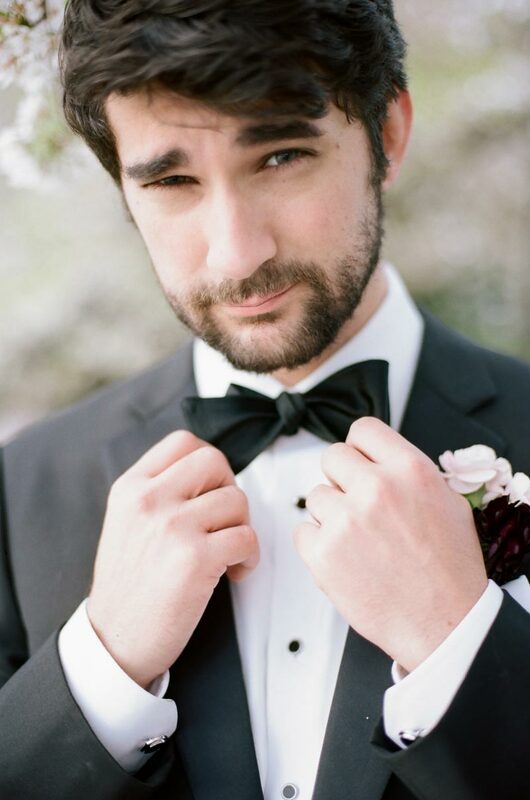 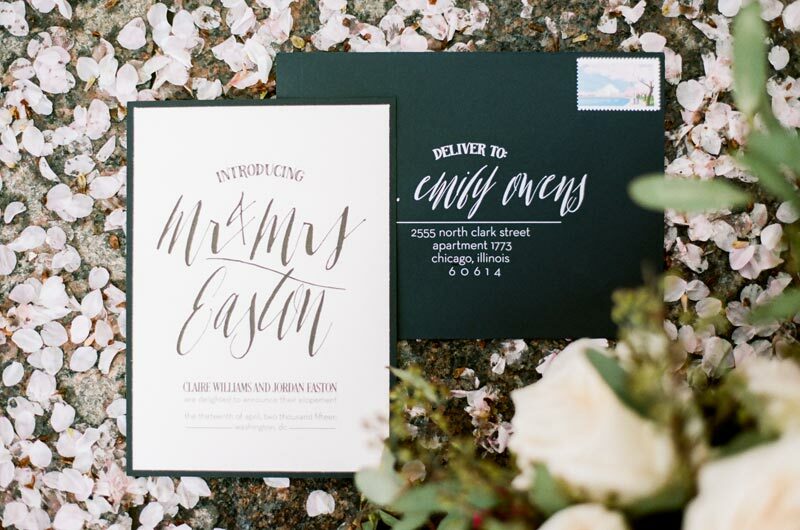 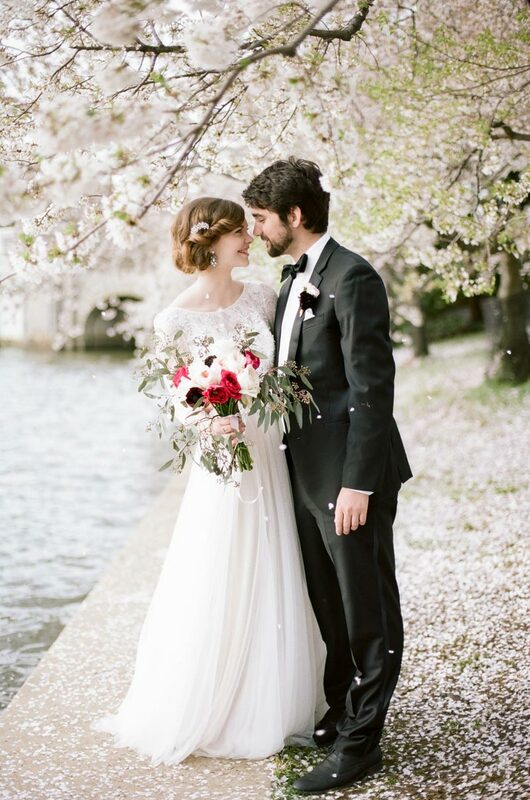 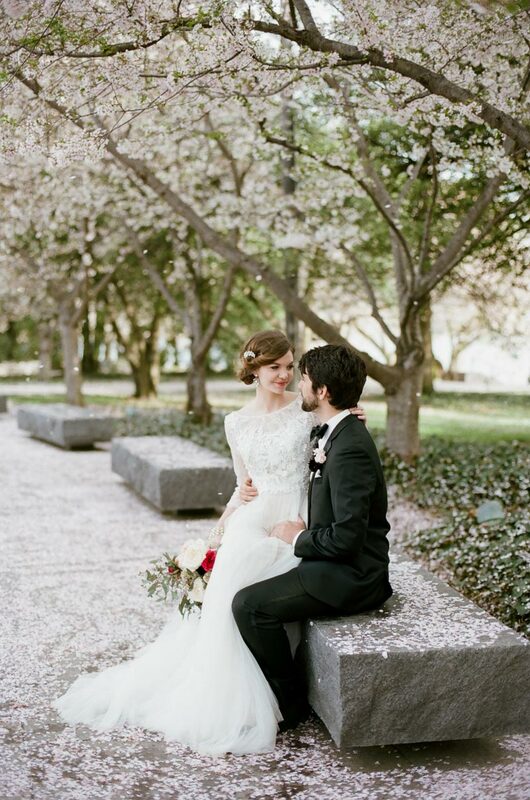 Thanks to One Sweet Day in May, Designs In Paper, and The Black Tux for helping this shoot come to life. 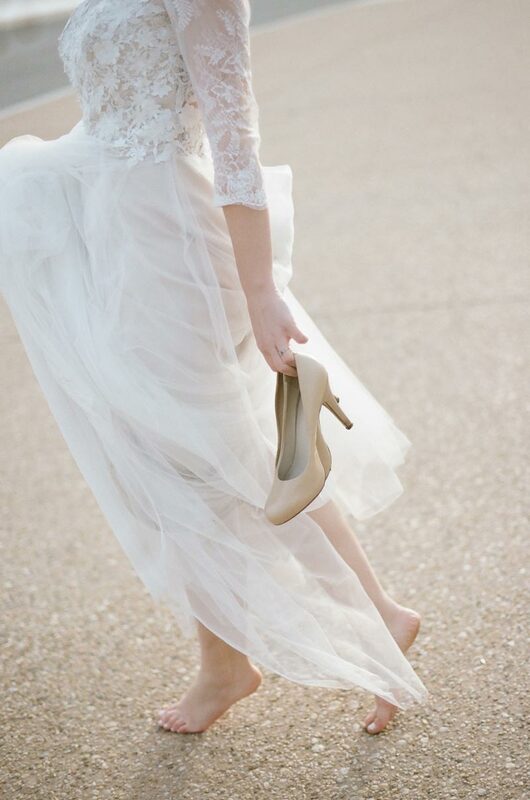 You can take a look at these images published on Style Me Pretty here.